I count it a pure privilege to homeschool my children - but the excitment of teaching a Kindergartner has got to beat it all. Here we are in our 2nd day of Kindergarten. This sweet little boy has 101.5 fever and was so excited to do school. Just as we were wrapping up he started feeling bad again - and this is the picture I snapped! This weekend when we were camping, the plan was for me to take family pictures. Had some issues with the tripod (my own fault) and so, I wasn't able to be in any of the group shots, but Pete and Paige took some of me anyway. I think we are up to week 13, but I'm still working on week 12. A bit behind with our camping trip and other life stuff. But, I got this way cool new action and wanted to try it out. It's by WendyZine Scraps and it takes all 7 of your pictures and combines them into a format that is sized appropraiately for your blog. Sunday: Paige got her new rabbit cornflower on Saturday. We set the cage up and it was just funny where we had to place it. Whine time: At this time, my freebie quick page has been downloaded 156 times! Wooohoo one would say - and I am! But, everyone that downloaded must have missed the part where I practically BEGGED for comments if they downloaded. Not one, not one, not one, did I mention NOT ONE comment - except the one where digi free told me they were posting my freebie. Well, kinda sorta! I'm not designing papers and elements or building kits. 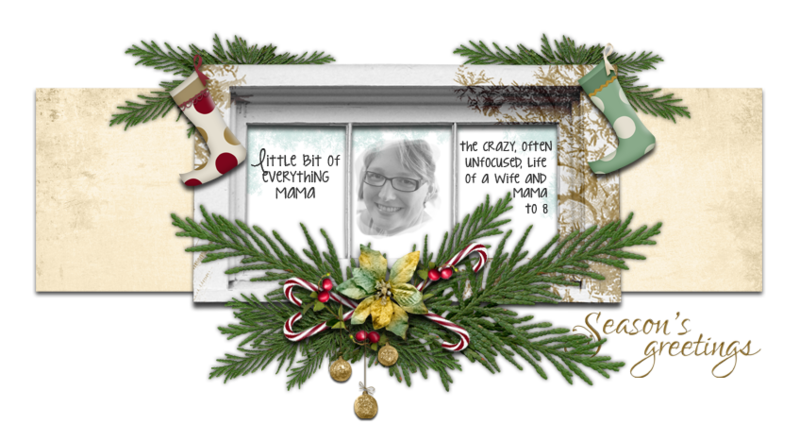 But, I'm designing quick pages and eventually blog packs using Simply Susan Godfrey's designs. I'll be putting these things into her store and will earn profit when/(if? :D) they sell. I just finished up the last of the quick page set using Consider the Lilies kit and will be working on my TOU and packaging it this weekend. Tomorrow we are going to purchased 2 more bookshelves and doing more switching around in the house. Eventually we will get it to where we want it. My computer will now be in my prayer room on a TV tray style thing and pretty much away from me during the day (this will be a good thing!). I've been working on organizing our Keepers at Home group, which is going great. Keeping up with pictures for Project 365 (and layouts, too!). We were supposed to go camping this weekend, but with 3 straight days of cold rain, we are rescheduling for next weekend! B will be 5 this month!! I'm working through my Nikon D60 class, which is challenging and fun! Lots of great and wonderful things going on around our home. Homeschooling is going great and we are steadily prodding through. We switched both bigs to Math U See and they are loving it and getting it! Yeah! I started my photography class yesterday and had to add to my portfolio several shots that I had done before I started the class. So, I added a new gallery to my smugmug account as well. Need to spoof up my smugmug website.